ArtiKool is a Synthetic PROA Polarized Refrigerant Oil Additive that can be used in extreme pressure situations as a Synthetic Polarized additive to lubricate the system. This formula is unique in this industry; making the ArtiKool formula a leader among Polarized Refrigerant Oil Additives on the market today. This is because ArtiKool's formula uses the latest in synthetic technology for air conditioning and refrigeration treatment. Our Product is not an old formula using old technology, with long outdated performance capabilities. ArtiKool uses the Latest and greatest Technology available when it comes to improving the performance of cooling systems. 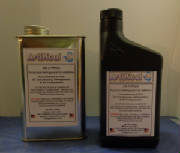 ArtiKool's unique Synthetic Polarized Refrigerant Oil Additive (PROA) formula is useful in many applications, including: consumer, commercial, industrial, and federal sector refrigeration and chillers; air-conditioning systems and heat pumps; also machining and weapons lube. The ArtiKool Synthetic PROA additive in a system increases lubricity of refrigerant oils by significantly enhancing compressor operation and efficiency and significantly improving heat transfer in the evaporator and condensing coils. ArtiKool (Synthetic PROA additive) is blended, as appropriate per design into into either the refrigerant oil reservoir or refrigerant flow. The Synthetic PROA is carried with the primary lubricant moving throughout the system. We refer to the additive as being polarized since there is covalent molecular bonding that takes place between the negatively charged Artikool molecules and the positive charge of the metal surfaces. ArtiKool's negatively charged molecules attach to the metal surfaces inside the system; these surfaces are thus conditioned, displacing dirt, carbon deposits "coking" and lubrication oil build-up. Eventually a thin layer one molecule thick is formed of ArtiKool in the system. This single layer makes a smoother surface for the refrigerant to travel providing optimum conditions for efficient thermal conductivity within the heat exchanger system or refrigeration/air conditioning equipment. In addition, ArtiKool provides greatly enhanced lubrication to all moving parts of refrigeration equipment under extreme pressure, making ArtiKool one of the best refrigeration treatments available today. ArtiKool PROA has no equal with its cleaning agent that will help older units run almost like new and keep new units running like new for years to come. ArtiKool products do not use Chlorine in their makeup . ArtiKool Synthetic PROA blends can be used for automobile air conditioning systems in addition to all other air conditioning and refrigeration systems including Ammonia systems. People say "Going Green", We Are GREEN! 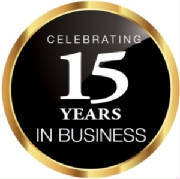 We at EDS,llc have been Green since our beginning. For example, we recycle packing material. The box your product is shipped in, is likely a box once used before. We take those boxes break them down and turn them inside out. This way we lower our carbon foot print on the world. It is a low cost way to recycle that saves our distributors money so that they can offer the Best Synthetic PROA on the market for the Best Price possible. Lower overhead saves everyone money. Being Green has been a way of life for us since our beginning. Let ArtiKool Synthetic help you see savings of 5-35% on Air Conditioning and Refrigeration systems. AriKool the finest Synthetic PROA on the market today! The Federal Energy Management Program, a part of the U.S. Department of Energy quotes a study in the City of Austin Texas. They conducted a test on a large gymnasium served by six 10-year old, 10-ton (35kW) packaged Lennox air-conditioners. All six units were tuned up, filters changed, belts adjusted, and refrigerant charges checked. When a PROA was added the study found that the compressor ran significantly quieter. The energy consumption was reduced 22% from 1173kWh to 915kWh. Based on a 1995 publication by the FEMP.